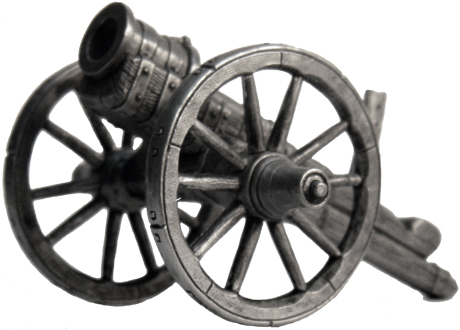 A bombard is a large-caliber, muzzle-loading medieval cannon or mortar, used chiefly in sieges for throwing heavy stone balls. The name bombarde was first noted and sketched in a French historical text around 1380. The modern term bombardment derives from this. Bombards were usually used during sieges to hurl various forms of missile into enemy fortifications. Projectiles such as stone or metal balls, burning materials and weighted cloth soaked in quicklime or Greek fire are documented. The name derives from medieval Latin and French forms from a Greek word expressing the making of a humming noise.